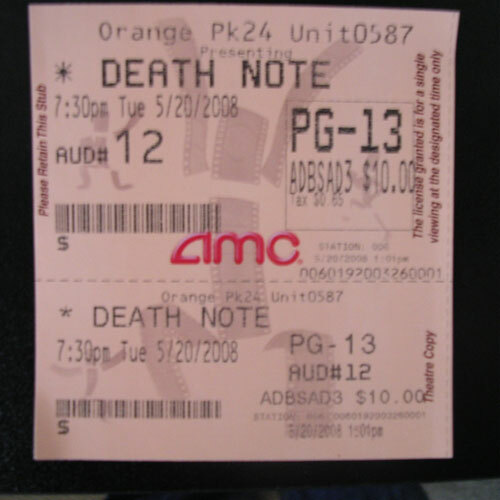 Hope you got your tickets for Death Note. I have mine. Its still not too late if you havn’t bought your ticket yet. Head over to Fathom Events to buy your ticket to the first Death Note movie playing in the United States. To check which theaters are playing Death Note in your city, check out the list. I will be watching it at the AMC theater in Jacksonville FL (Orange Park) at 7:30. Remember, its only playing May 20th, and 21st. See you there.